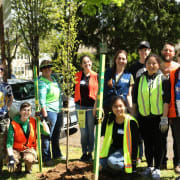 Friends of Trees' mission is to bring people in the Pacific Northwest together to plant and care for city trees and green spaces. Build community by planting, pruning, and caring for trees, and restoring and caring for natural areas and green spaces. Would you recommend Friends of Trees Eugene?